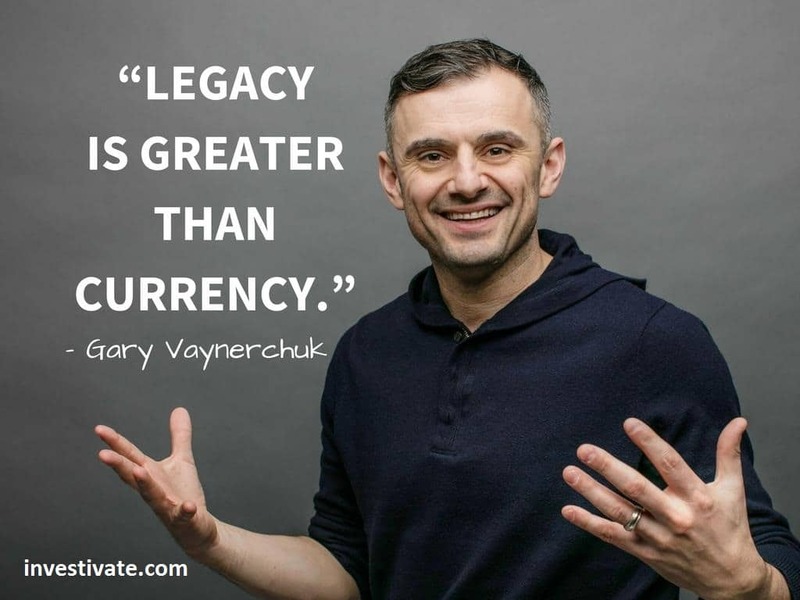 Gary Vaynerchuk is known as a successful American entrepreneur, author of many New York Times bestsellers, and the pioneer in social media and digital marketing. He has built his career by knowing and being exactly where consumer attention is going next. 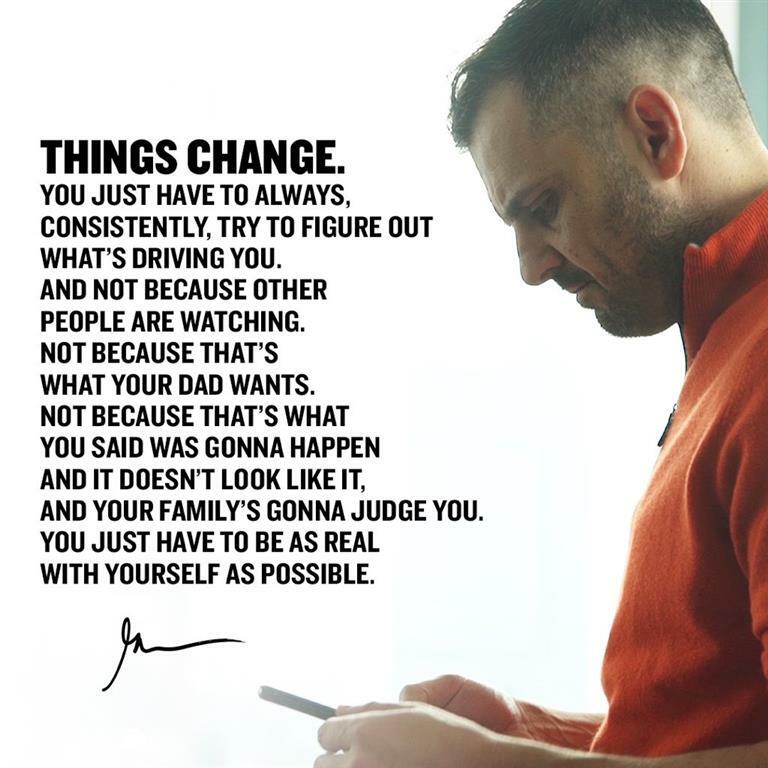 A lot of people know Vaynerchuk from his #AskGaryVee Show, a business and digital marketing focused Q&A YouTube and Facebook video show and podcast, as well as DailyVee, a docu-series highlighting his daily activities and what it’s like to be a CEO, investor, speaker, and public figure in today’s digital age. Born in the Soviet Union (Republic Belarus), Gary moved to New York at the age of 3. As a child, he made his little fortune on baseball cards and after graduation from college, Vaynerchuk became in charge of his father’s wine business. The process of selling wine itself did not give him much of interest, but the idea of using modern technologies in marketing seemed quite fascinating. After the renaming Shopper’s Discount Liquors store in Springfield, New Jersey into Wine Library, Vaynerchuk started online sales, using innovative for that time e-commerce, pricing, and e-mail marketing. By 2005 Vaynerchuk grew the business income from $3 million to $60 million a year in just five years. Gary Vaynerchuk’s life took a sharp turn when he launched Wine Library TV, which reached the number of 90,000 followers in less than 4 years. To build that show he used Facebook and Twitter, which soon made him a famous Internet personality. That success led Vaynerchuk to launch the digital ad agency together with his brother in 2009. They called it VaynerMedia. The company started to grow very fast and by 2016, it became a workplace for 600+ employees, grossing $100 million in revenue. Now Gary Vaynerchuk is CEO of VaynerMedia, the fastest growing social digital agency in America that provides social media and strategy services for the world’s leading companies. Recently he also launched a new company, The Gallery, that houses women’s publisher PureWow, and made a number of fresh investments. Well-known for his investing and advising campaigns, Vaynerchuk works with Uber, Facebook, Birchbox, Tumblr, Twitter, Snapchat and many others. He is also famous for being a regular speaker at global technology and entrepreneurship conferences. His innovative #AskGaryVee Show provides a live dialogue with common people, interested in social media developing, startups, entrepreneurship, family businesses and much more, sharing the personal Vaynerchuk stories and own experience. In 2009 Gary Vaynerchuk signed a contract with American publisher HarperStudio for publishing of 10 books. By that time he had already had one best-seller “101 Wines: Guaranteed to Inspire, Delight, and Bring Thunder to Your World”, but his new books brought him even more popularity. “Crush It! : Why NOW Is the Time to Cash In on Your Passion” became #1 on the Best Seller list of Amazon for the books in Web Marketing. It was featured in New York Times, the Wall Street Journal, CBS News, and other big media. 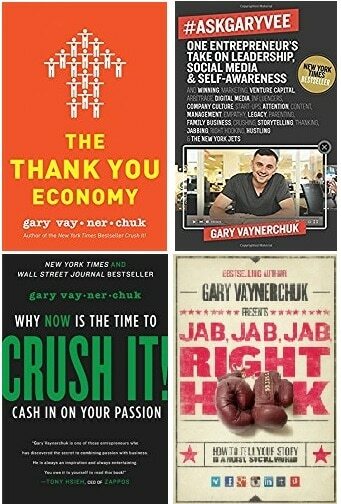 Three more books were released afterward: “The Thank You Economy”, “Jab, Jab, Jab, Right-Hook” and “AskGaryVee: One Entrepreneur’s Take on Leadership, Social Media, and Self-Awareness”, all claimed to be marketing best-sellers. A lot of people are interested in knowing Vaynerchuk’s net worth which is fair because we live in the world today where there are many self-proclaimed so-call “experts” who are broke and fake. Also, people want to know if Vaynerchuk actually gets results. Money or net worth can be used as a good measurement of how good you are at what you do. Another reason we can think of is because Gary always talks about the grind and hustle, so people might want to know how much financial reward an entrepreneur can achieve for going all in. There are some websites out there that estimate his net worth of $10 million which is way underestimated. While right now, there is no official estimation from Forbes, but we believe he’s worth around $100M or more, considering his various investments in Facebook, Twitter, Tumblr, Birchbox, Uber, etc… and his stake in VaynerMedia and WineLibrary as well as book deals and highly-paid speaking gigs. The big question isn’t how much money he’s made but if he is the real deal and worth listening to. The answer is of course! Gary is the real deal. He worked all his 20s to build a successful real business before many of us even heard of him. His solid advice is from real world experience, not from theory or books. He was successful before he started to share his advice online. He definitely walks the walk and knows what he’s talking about, not someone who is “trying to fake it and hopefully, one day will make it”. 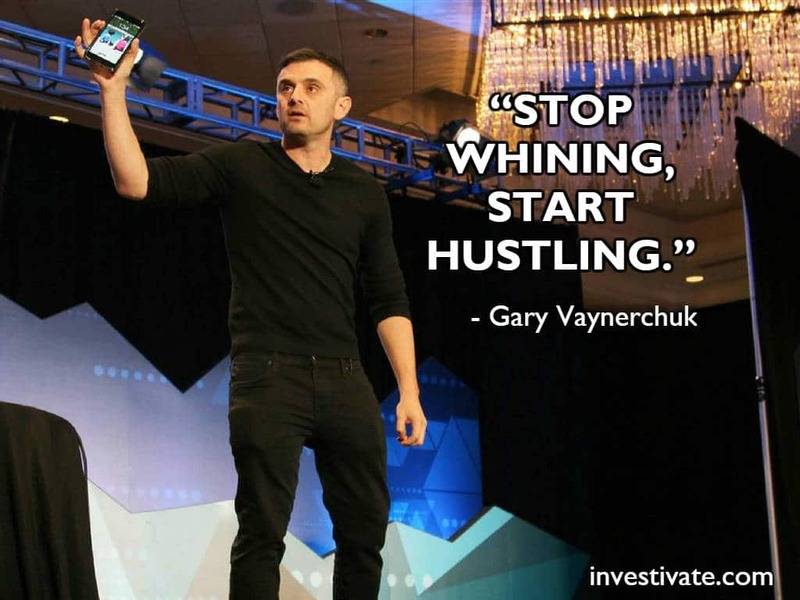 Gary Vaynerchuk’s life is inspiring and impactful. His work inspires aspiring entrepreneurs to take advantage of the current stage of the internet – social media – to build their online business based on their passions and being bold enough to become an entrepreneur. He is also big on self-awareness and hustle. People love him because of his way of communication: using strong language, humor, sincere, tell it like it is and his passion to inspire entrepreneurs at all age and leaving a legacy. 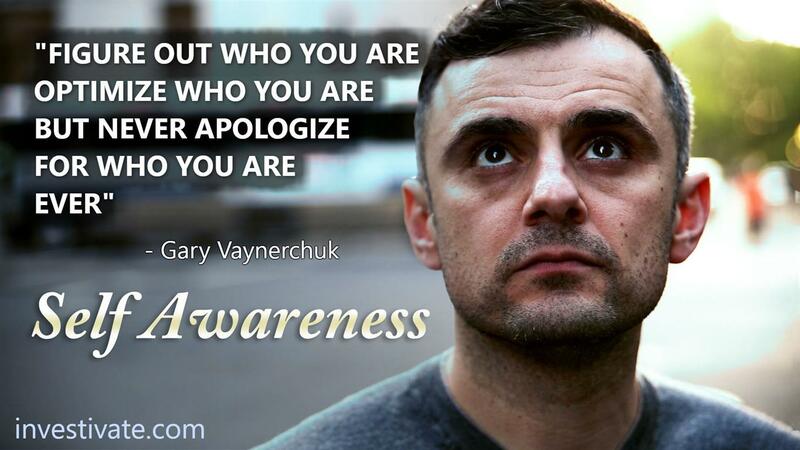 Below are our favorite quotes and saying of Vaynerchuk. Some quotes may contain strong language and truths that you might not be able to handle, readers discretion is advised. There you have it! Make sure you follow Gary on social media for his daily inspiration and practical advice. If you love these sayings from Gary, feel free to share this post on your social media. And as Gary would say, figure out who you are, go all in on who you are and stop caring about what people think of you.